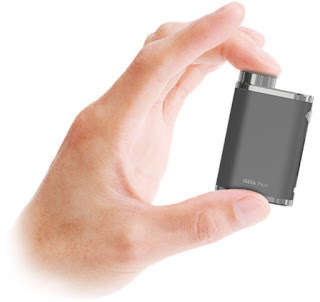 Just like its name, the iStick Pico is small and exquisite in look. Supercharged by one interchangeable 18650 battery (batteries sold-out separately) which will simply be accessed through the battery screw high, this tiny guy is powerful enough to thrust out a scoop 75W and switch between numerous firing modes. 2 power adjustment buttons are stealthily placed on rock bottom of the unit whereas a bright OLED screen shows necessary vaping settings. Though light-weight, the Pico fits and feels excellent within the hand owing to its rounded edge style. Bolstered with brushed chrome steel trimming at the highest and bottom of the unit, the Pico appearance trendy and useful beat a bit powerful package.